Validating a European patent in Belgium: what will really change in 2017? Over the past few months, much has been said about the upcoming entry into force of the new Belgian Law of 29 June 2016 amending, a.o., the Code of Economic Law (CEL). Few grey areas remain as to the implications of the expected changes on the procedure for validating granted European patents, in particular when it comes to translation and representation requirements. Dennemeyer & Associates recently discussed with Ms. Anne Bonet, Senior legal advisor and Head of the Finance and Information Department at the Belgian Intellectual Property Office (BIPO), who clarified the new law that seeks to “simplify the Belgian patent system even more and increase its efficiency”. The following article aims to provide the necessary guidance to patent attorneys and patent administrators, in order to help them overcome any legal uncertainties and take the proper decisions at the right time. Dennemeyer expresses its sincere appreciation to the Belgian Intellectual Property Office for its contribution. Today, a European patent granted in English must be translated into one of the three official languages, namely French, Dutch or German, in order to take effect in Belgium. Any such translation, along with other relevant formal documents, must be filed no later than three months from the date on which the mention of the grant of the European patent is published in the European Patent Bulletin. The new law “suppresses the obligation” to submit a translation for European patents granted in English, in so far as the mention of the grant or the mention of maintenance in amended form or after limitation is published as from 1 January 2017. As Ms. Anne Bonet put it: “Concretely, this means that any European patent designating Belgium and granted from 1 January 2017 will automatically have effect in Belgium without any formality.” The Office “will no longer issue any notification” to confirm an effective validation. 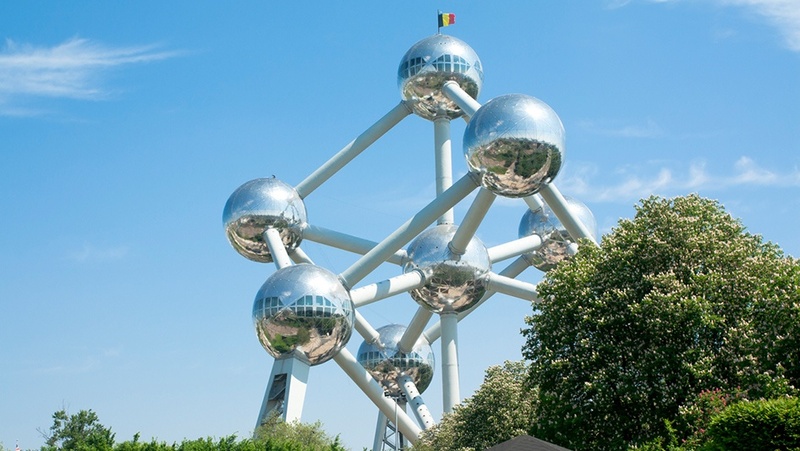 The translation waiver represents a logical continuation of the regime that currently applies to European patents granted in either French or German, which benefit from an automatic effect in Belgium. However, it is important to note that a translation of the full patent specification will still be required for any European patent with a mention of the grant published before 1 January, 2017 and in relation to which a validation request is filed with the Belgian Intellectual Property Office within the first three months of 2017. The circumstances under which a full or partial translation of a European patent will remain unchanged. Prior to the grant of any European patent, the applicant may seek to obtain provisional protection upon filing a translation of the claims into French, Dutch or German, in accordance with Article 67(3) of the European Patent Convention. A translation may also be requested in the context of legal proceedings, upon request from the Belgian courts. Interestingly enough, the role of the Belgian Intellectual Property Office will evolve. Under the new legal framework, the Office will no longer accept any European patent applications and PCT international applications. These will need to be filed with the European Patent Office and the WIPO, respectively. However, the new filing procedure is not yet effective. As Ms. Anne Bonet put it: “Once this change has entered into force, which is foreseen for the first semester of 2017, any European patent or PCT application will have to be filed with the European Patent Office. With regard to PCT applications, the applicant will still be allowed to file with the WIPO Intellectual Property Office”. An exception will apply to applications filed by Belgian nationals “which relate to the defence of the Belgian territory or the State’s security”. Any application filed before the European Patent Office will require the appointment of a professional representative or a legal practitioner registered before the regional Office. When it comes to PCT applications, the representative must be entitled to practice before the receiving Office with which the international application is filed, for instance the International Bureau and the subsequent Authorities. A professional representative will no longer be needed, as the validation procedure as such no longer exists. However, a patent owner who has no place of residence or establishment in one of the Member States of the European Union (EU) will have to appoint a patent attorney duly registered before the Belgian Patent Office “to represent him e.g. for the notification of licences, assignments and any change related to the patent that must be mentioned in the Belgian register but also for restoration requests”. As Ms. Anne Bonet explains, the representative may either be “a Belgian certified patent attorney, or a patent attorney who is an EU national and who is certified in one of the EU Member States, provided that he or she is first registered at the Belgian Intellectual Property Office as foreign patent attorney”. representing the patent owner in the context of a restoration procedure. For annuity payments, the party handling the payment would automatically have its address registered for service. The Belgian Intellectual Property Office will always send direct payment confirmations to the registered address for service. Having a registered address for service in Belgium or in Europe may ease the whole process of monitoring and handling annuity payments in a timely and efficient manner. In particular, an address for service in the Single Euro Payments Area (SEPA) may alleviate the risk of paying additional costs arising from foreign currency transactions on top of the fee amount and which would never be reimbursed. In any event, the Intellectual Property Patent Office issues official communications in their official languages, namely German, French or Dutch. Consequently, registering an address for service in one of the European countries officially using these languages will result in more safety and security.